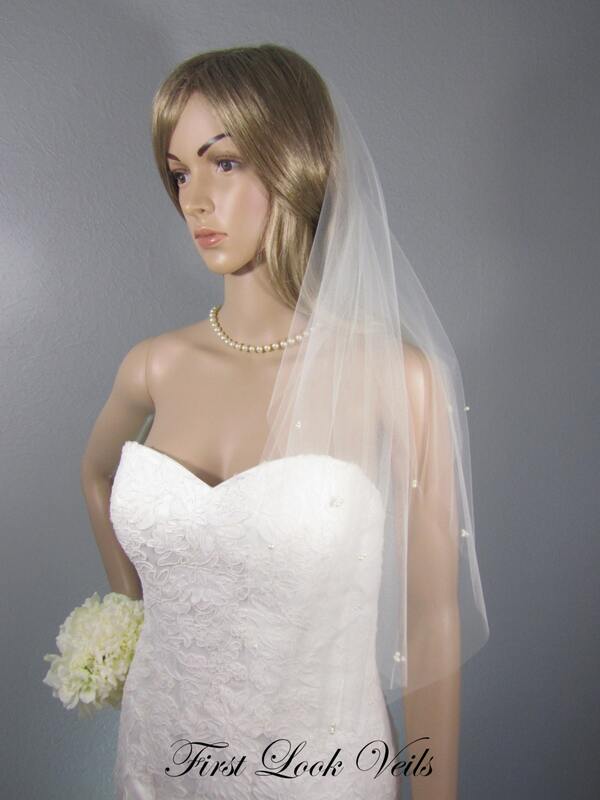 THE STYLE: The gentle tulle edge of this elegant ivory handmade wedding veil cascades softly to your elbow. 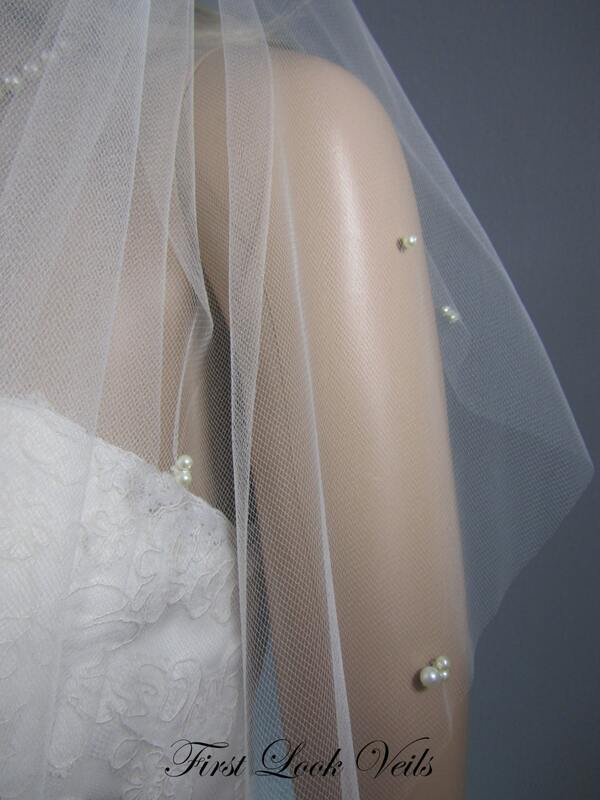 Glass pearls are single or clustered and hand sewn on the tulle. 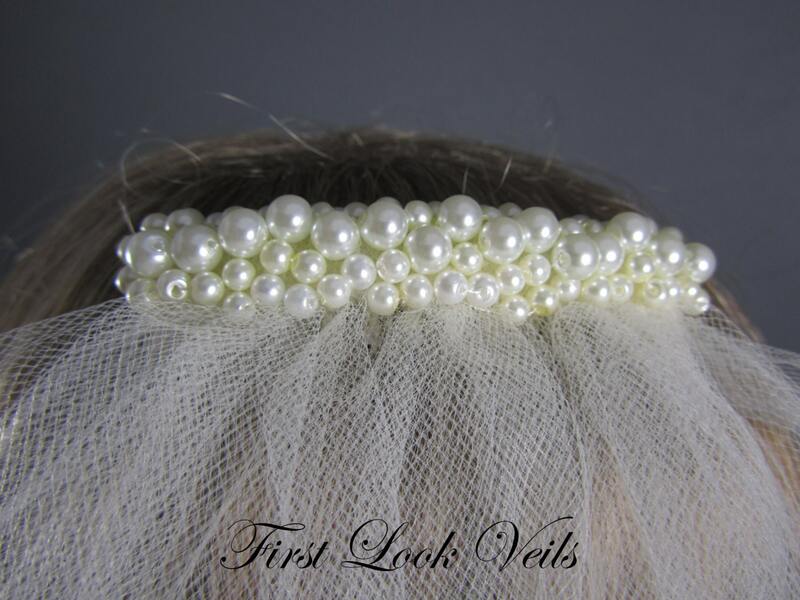 It is attached with a tulle wrapped metal comb that is topped with a design of sewn, hand placed pearls. 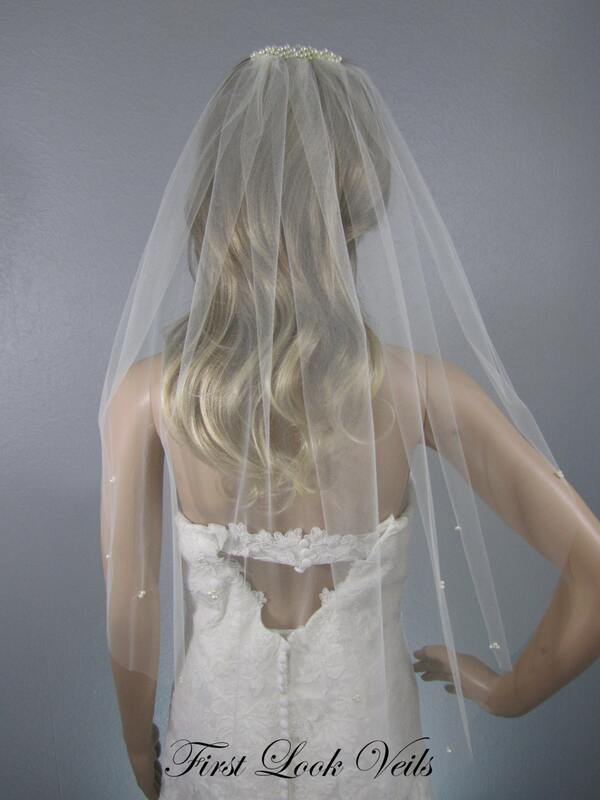 This veil is for the bride who wants to feel elegant without a lot of flash. LENGTH: The pictured veil is an elbow length (25 inches from comb placement). 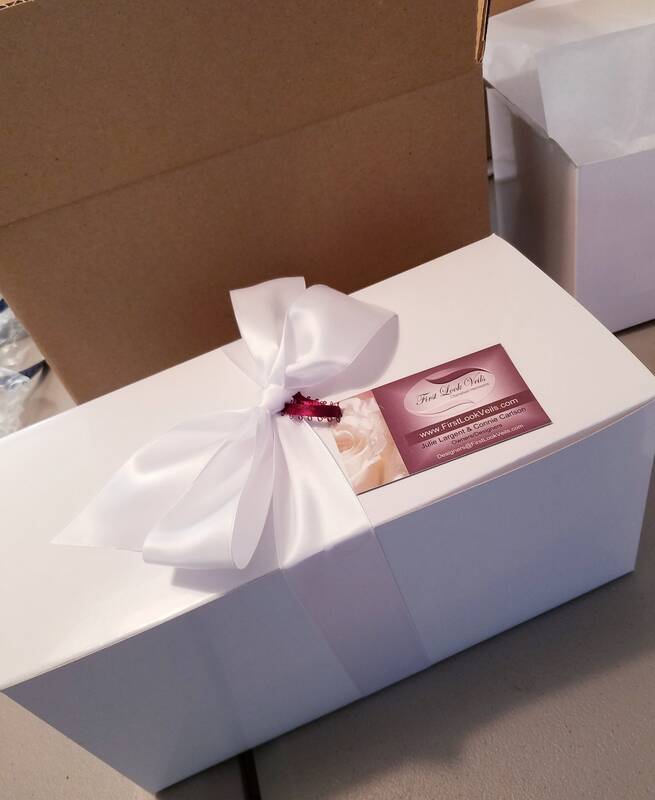 Our standard color swatch card comes with white, diamond white and ivory samples.